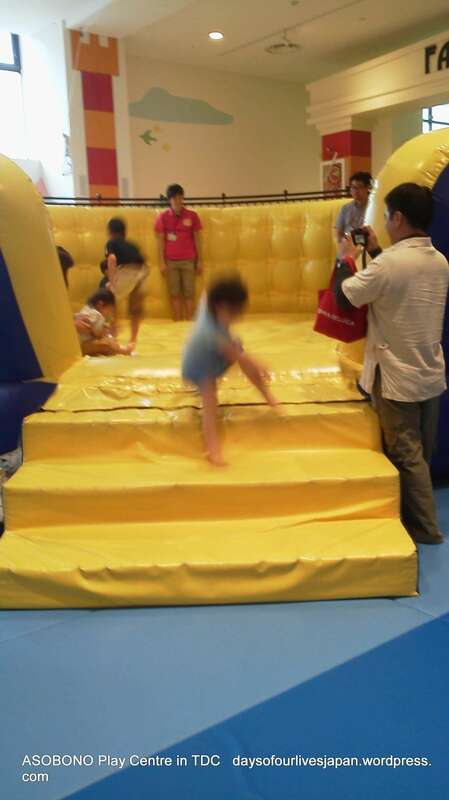 I really enjoyed visiting Tokyo Dome City with kids. It took us two hours to reach our final destination, but it was completely worth the wait. 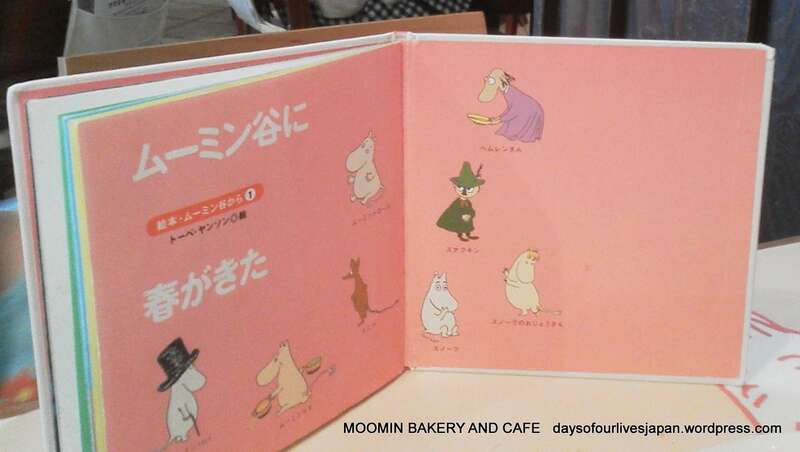 First, we went to Tokyo’s first themed cafe, the Moomin Bakery and Cafe. We escaped having to queue to be seated by opting to have a light snack rather than lunch. 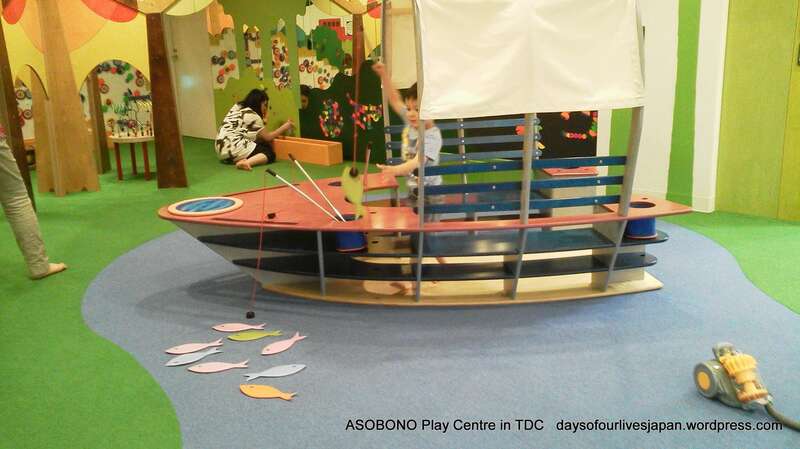 Then, we went to Asobono fun centre. 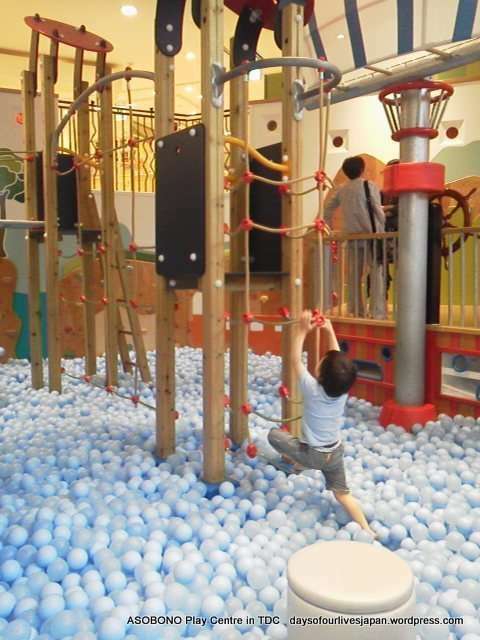 We took a break to go across the corridor to the food court and then back for even more play, a free event and a free gift… It was the kids first time to Tokyo Dome City. I have been a few times, but given the length of the journey I waited to bring the kids. 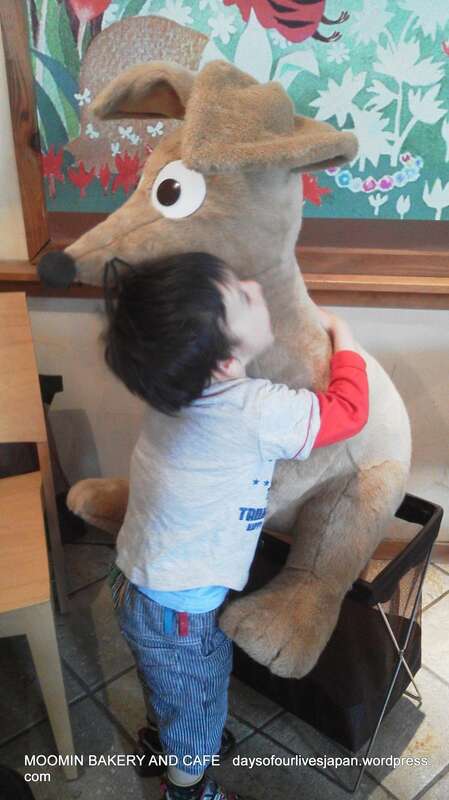 Three year old was well able for the journey, but two-year old was irritable for most of the travelling. I’m glad I left the baby with Baba, because some parts of Kourakuen (aka Tokyo Dome City aka TDC) and the train stations are not buggy friendly. At least with 2 year old I could get her to walk the steps while I carried the buggy down or up them. In spite of a few hitches and tiredness from the travel, they both indubitably and without doubt had a blast! 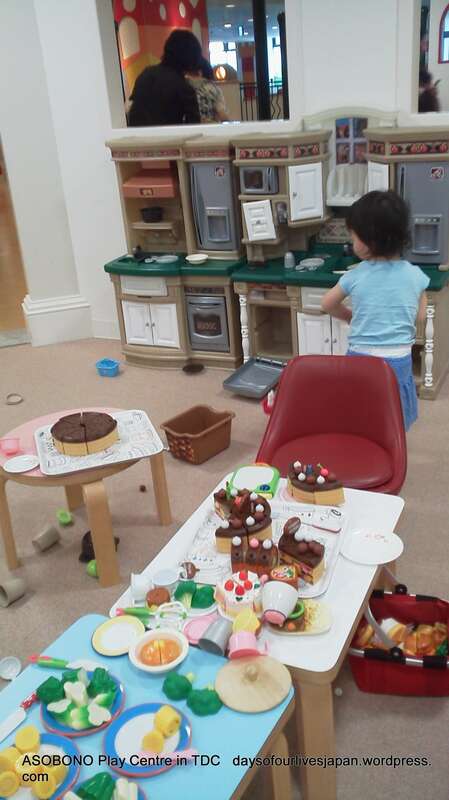 First stop, Moomin Bakery and Cafe on the first floor of the LaQua building of Tokyo Dome City. It was just before 11am and people were already queuing for the lunch menu. I had only planned elevenses and that worked out nicely, because we could be seated straightaway. We chose bread from the bakery and ordered a drink with it as a set. The bread is self-service, but the drink is delivered by staff. It was quite costly given what it was, but it was worth it to have a life-size Moomin character teddy sit with us and for the fun character bread we could choose. The kids were also impressed with my character Latte. The character that sat with us was Sniff. The kids don’t even watch Moomin, but they are familiar with the characters. They were just happy to have a visitor at our table! They also enjoyed reading the books that you can borrow while dining. 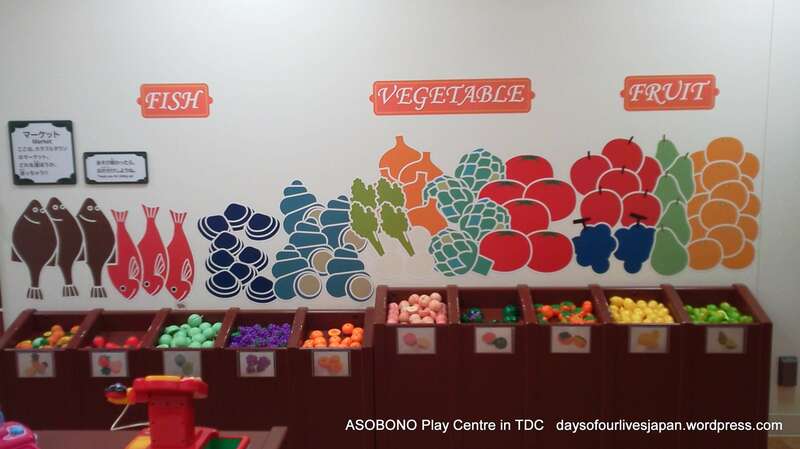 After the cafe we went to Asobono, a mega play centre in the heart of TDC. As luck had it, they had a special discount available if you signed up for a TDC member card. So I did! 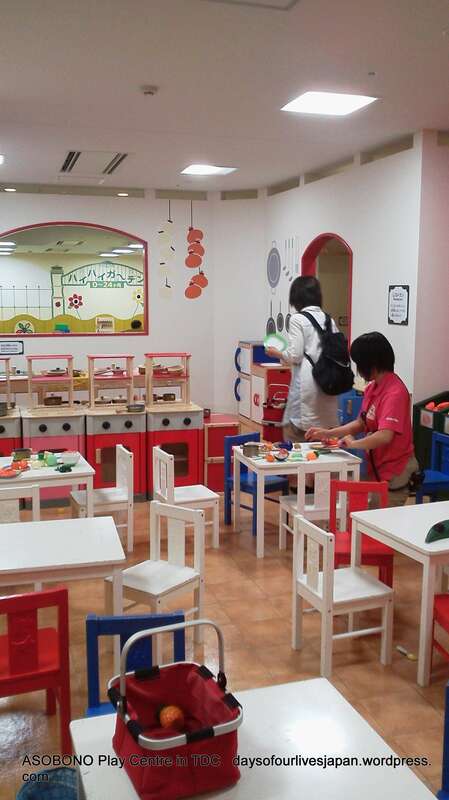 We got an all day “free pass” for 1,200 yen per child instead of the usual 1,500 yen. My fee was also discounted by a 100 yen. The flat rate for an adult is 900 yen. 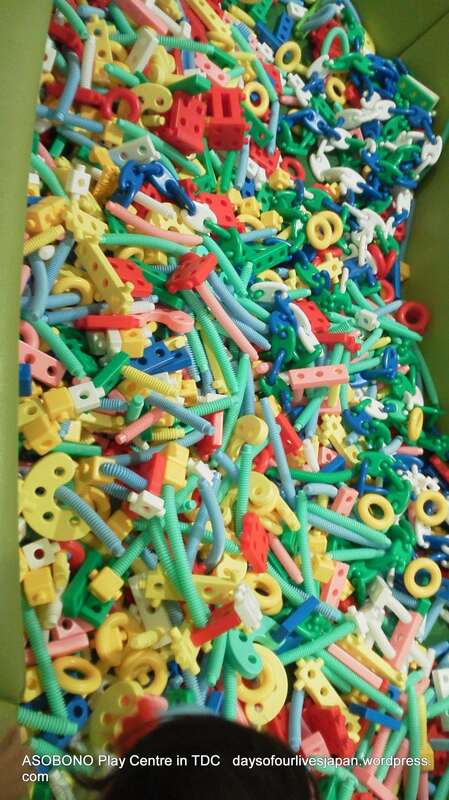 For children older than two the free pass is probably better value than the hourly rate. 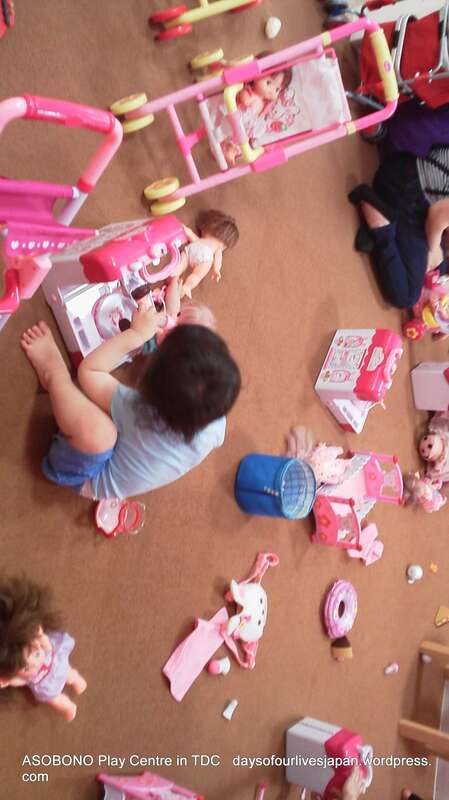 An hourly rate is 900 yen regardless of age and 400 yen for every half hour you stay over. You have to be aware of the time you are supposed to leave with an hourly rate too, they don’t tell you when your time is up, but will charge you for any additional time you spend. My kids played for 4 hours and would have played for longer if we didn’t have a train to catch. When you pay for a daily “free pass” you can come and go with your children as you please, so long as you let the front desk know. We took a small break for lunch. I had intended to bring the kids to the Baseball cafe, but I knew they just wanted something quick to eat and go back to play asap. 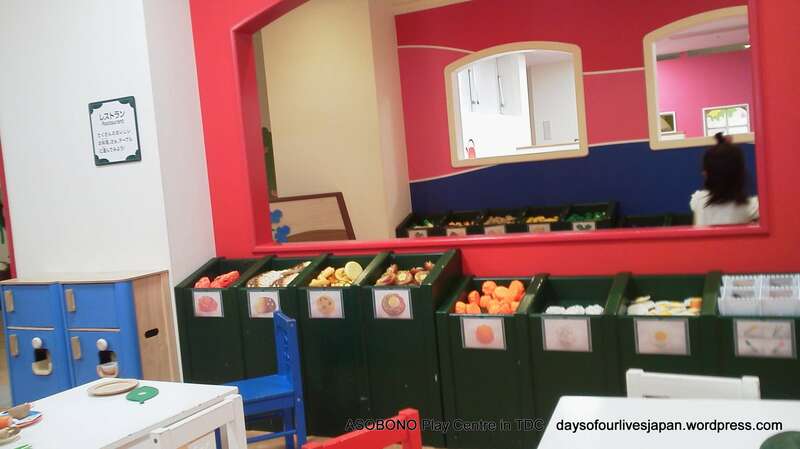 So we just slipped across to the food court, very conveniently located to the play centre. We were back in time for a mini-event, when the staff did some exercises and songs with the kids. At the end of it, they gave each child a kyoryu poster, much to the delight of my kids who are big fans of the TV programme. 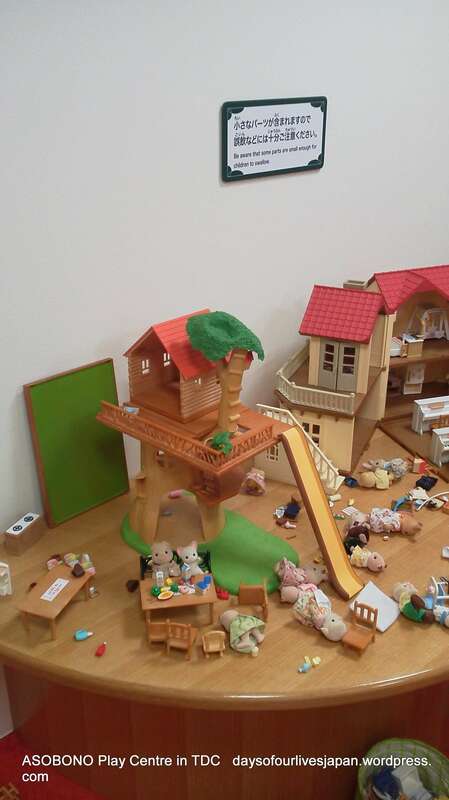 The biggest problem I faced was getting the kids to leave before it was dark and before the trains were too packed. I think I bribed them, I actually can’t remember; I was fairly beat from all the play myself! 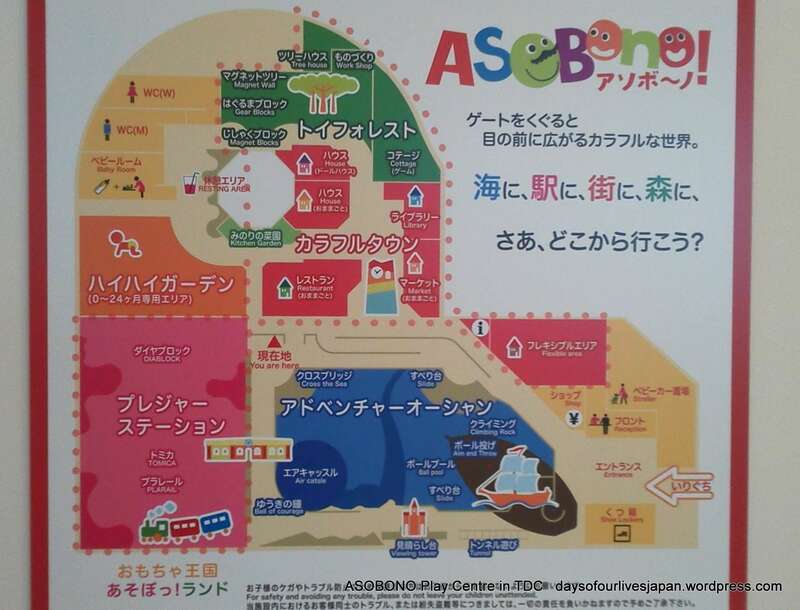 If you are visiting Tokyo Dome City with kids I would recommend Asobono in a heartbeat and Moomin Cafe if you aren’t on a budget or a time frame. 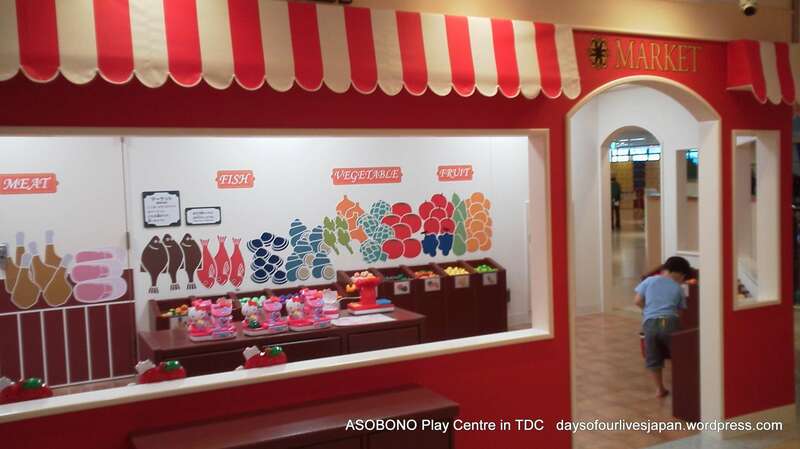 There is still so much to say about Asobono, but hopefully these pictures will paint the words instead! You’re lucky you are close enough to frequent. 🙂 We only get to Tokyo Dome City once a year!